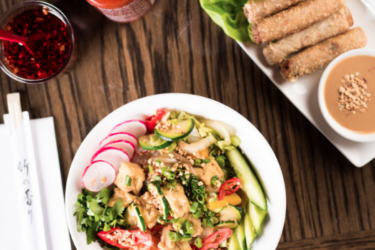 Veganism is becoming increasingly popular. Gone are the days where if you said that you were vegan, you were met by quizzical looks from your peers. Questions would start rolling in such as “well what do you eat then?” “Do you just live on lettuce leaves?” New research over recent years has taught us to be much more aware of what we are putting into our bodies and how what we eat can shape the future of our planet. 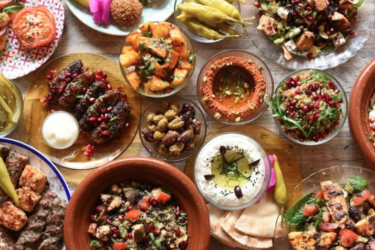 Emerging “vegan celebrity chefs” such as Lucy Watson, Deliciously Ella and Chloe Coscarelli have shown us that vegan food doesn’t have to be boring. In fact, it can be incredibly tasty! If you guys are familiar with this blog, you will know that by no means am I a vegetarian or a vegan but I like to live by a plant based diet as much as I can. Not only do I believe that eating plant-based food is much kinder to my body but I also genuinely love vegetarian and vegan recipes and meat substitutes. 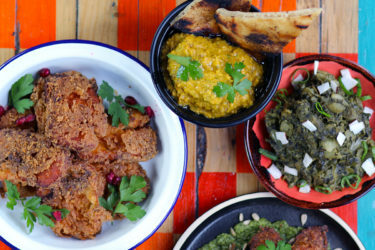 I find they have so much more flavour and really make use of herbs, spices and vegetables. I buy meat alternative products on a regular basis, not necessarily because I have a problem with eating meat, but because I genuinely prefer the taste of Quorn, Seitan and Tofu. 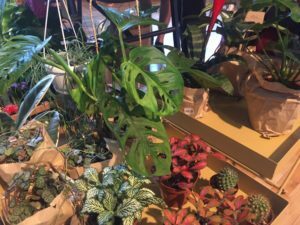 I’m always open to trying new food, particularly when it’s either vegetarian or vegan, so I was delighted to learn that a new monthly vegan market was coming to Exeter. 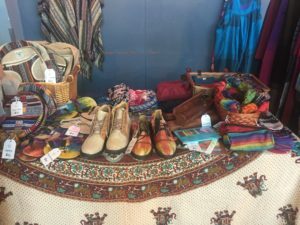 Hosted at the Corn Exchange, Exeter Vegan Market is set to be held once a month and brings a great range of food, gifts, crafts and clothing to the city centre – all completely vegan! Walking into the hall, I was taken aback with how busy it was. It just goes to show how people are so much more open-minded nowadays when it comes to veganism. There was such a great range of food on offer. 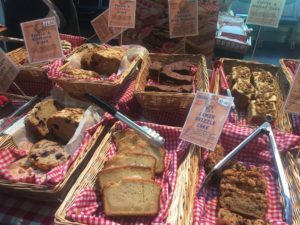 Naturally Bread, were there with the most delicious range of bread sticks, cakes and shortbreads. I couldn’t resist picking up a Double Chocolate Oreo brownie – this went down a treat. 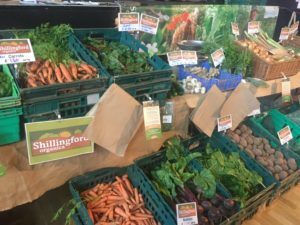 Shillingford Organics were there with a colourful display of organic vegetables and How on Earth were offering tasters of their Southern Fried Seitan and ‘Bacon’. I’m definitely going to have to stock up on this next month. The Marble Kitchen were selling delicious looking donuts but unfortunately I didn’t get to try one. They were so popular, they sold out by 11:15am! Great for those guys but I’m hoping they will have a few more doughnuts on offer next month so I can get my hands on one. I really liked how this market wasn’t just about food. 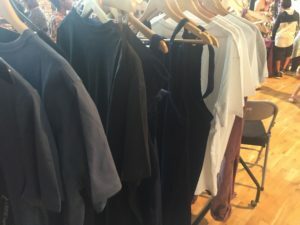 A fantastic range of clothing, gifts and health and beauty products were on offer too. My favourite indie shop No Guts No Glory were there with their usual fantastic range of house plants and other cute gifts such as candles and clothing. 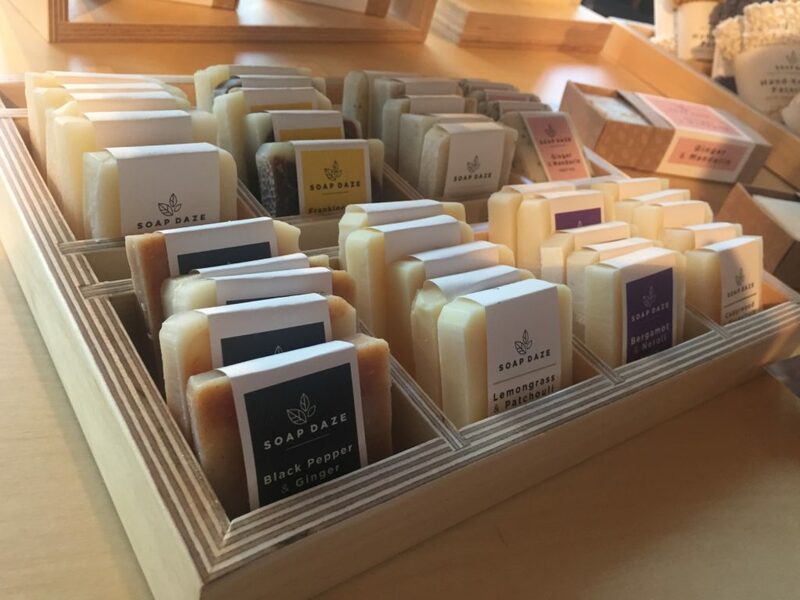 Soap Daze were offering a range of soaps that smelt amazing. How cute are these? They would make a perfect gift. 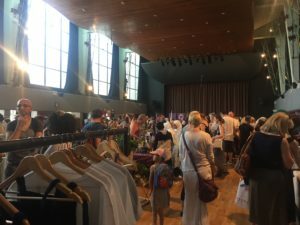 Viva La Vegan had some lovely clothes and bags on display. Check out their online shop by clicking here or catch them at the next market. 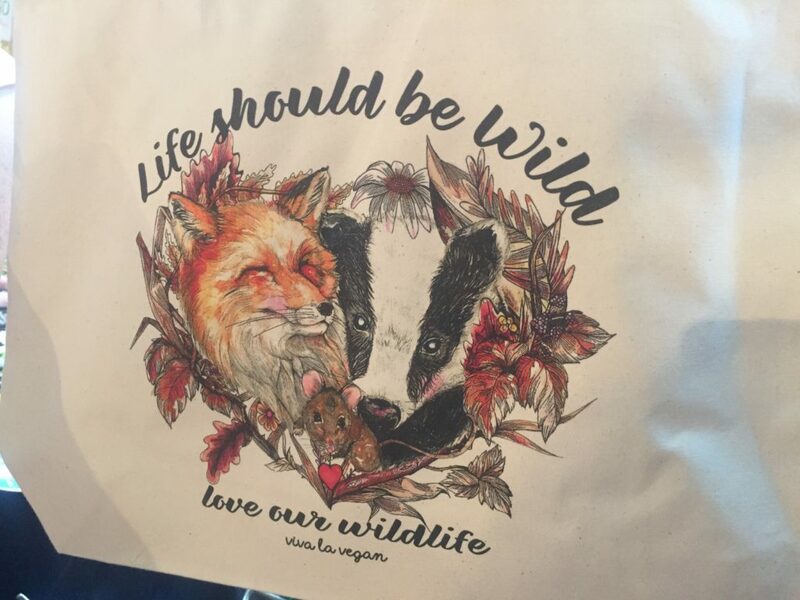 I particularly loved this print on one of their canvas bags – the illustration is beautiful. The market runs from 10am to 2pm. 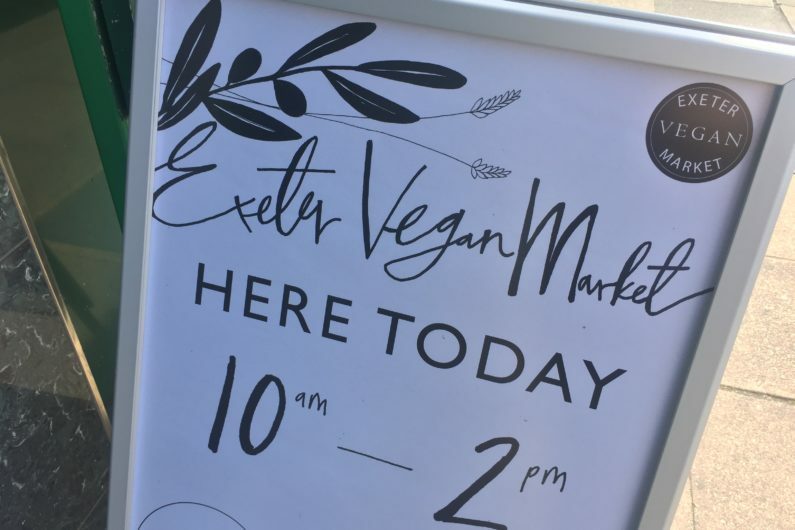 Follow the Exeter Vegan Market’s Facebook page to keep up-to-date with the latest exhibitors and events. I agree with you about Quorn! I genuinely prefer most of their products to the meat alternatives. The ‘meatballs’ and ‘sausages’ are awesome.